A collection of new studies on one of the best known and most important British literary critics of the twentieth century. The book is divided into four sections: documentary analysis of Leavis's practice as a teacher, drawing on seminar notes, lecture handouts, reading lists and other material; new bibliographical data, including a detailed account of Leavis's project to turn Daniel Deronda into … a new novel called Gwendolen Harleth; critical essays on Leavis's thought; and memoirs of different phases in Leavis's career, from the 1930s to the 1960s. 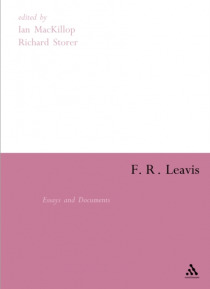 The volume also includes an up-to-date Reader's Guide to Leavis's own writings and to the many studies of his work.